This award winning soundbase is designed to bring tv, movies, music and gaming to life. Features include built-in subwoofer and Bluetooth aptX. 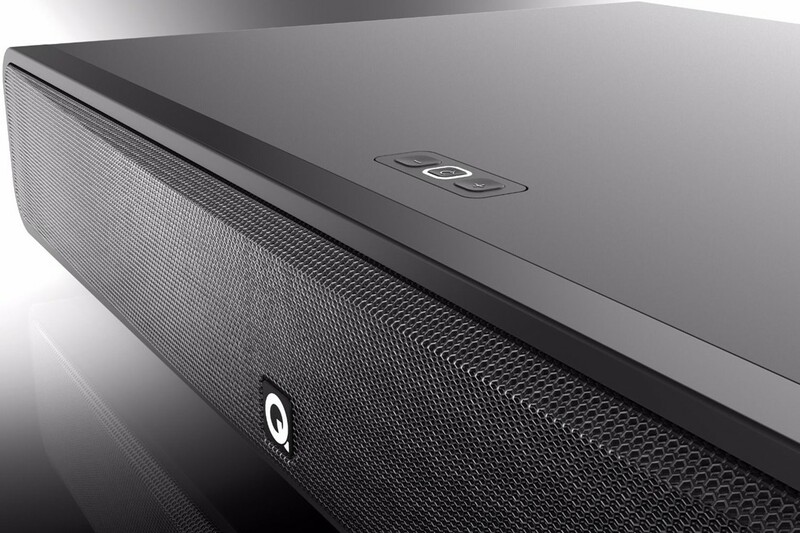 Q Acoustics M2 Soundbase benefits from the same award-winning engineering and design expertise found in Q Acoustics' highly acclaimed speaker and Soundbar products. A seamless addition to your viewing or listening room, the low profile M2 Soundbase brings movies to life with the MoviEQ function for increased bass to provide the ultimate home cinema sound. (Economic)The M2 doubles as an all in one music system for music lovers streaming high-quality music via Bluetooth APTX or NFC for Android devices. So when the TV is off, you can stream your favourite music. Whether for movies or music, the philosophy of the M2 is simple, to deliver unrivalled, stunning and immersive sound in a sleek and compact design where unwieldy home cinema setups and bulky soundbars just don't meet the brief. The M2 Soundbase delivers stunning TV and audio sound performance.Using a powerful 80w amplifier, unique BMR wide dispersion sound technology and built-in subwoofer, the M2 delivers a room-filling, immersive and cinematic experience from a small and sleek one box solution This compact and versatile design can shelf mount, support a TV or fit discreetly into a cabinet. The Q Acoustics reputation for producing class leading and acoustically superior products is known throughout the world. The M2 will open up a new world of TV sound allowing you to discover previously unheard, subtle layers to your movie and music soundtracks. Not only will the wide dispersion BMR speaker drivers provide 180-degree room-filling sound, stunning stereo separation and clarity, but the inbuilt subwoofer gives a depth of soundscape that will transform your listening experience. The majority of TVs are positioned on stands and furniture and this is where the M2 comes into its own. 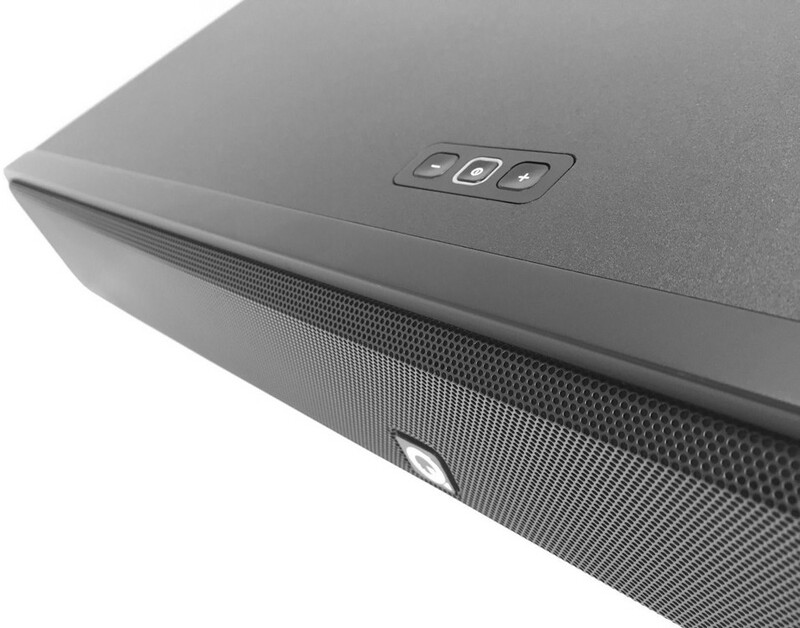 Discreet under your TV or in a cabinet yet anything but discreet when it comes to delivery of sound. With a range of inputs including HDMI, Optical, Bluetooth and NFC, the M2 provides ultimate flexibility when it comes to a music source.